SACRAMENTO, Calif. -- Only days left to order foie gras at a California restaurant. Any restaurant that serves the fatty duck or goose liver after June 30 will be fined up to $1,000. Foie gras is considered a delicacy in some culinary circles, often paired with toasted brioche and savored for its buttery richness. Animal rights advocates shudder at the methods used to produce foie gras, in which birds are force fed via a funnel and long tube to create an engorged liver - a process known as gavage. Those advocates mark the upcoming ban as a victory, but California chefs are eyeing the 2013 legislative session to overturn the ban and have found at least one senator who may author a bill on their behalf. As the clock ticks down, Sacramento area restaurants are serving foie gras in a series of dinners and specials. Restaurateur Patrick Mulvaney said he has never seen the demand higher for foie gras. "We're probably 50 percent ahead of our usual sales," said Mulvaney, who expects that figure to go higher as the ban approaches. " ... As a state that's the epicenter of great food, it's absurd that we'd allow someone to take away something that's used as a delicacy for thousands of years." The bill that bans the force feeding of birds in California, SB 1520, was introduced by former Senate President Pro Tem John Burton, D-San Francisco, in 2004 and signed into law by Gov. Arnold Schwarzenegger. The ban allowed a 71/2-year sunset for the law to take effect, and a fine up to $1,000 once the ban was in place. "We just shouldn't be cramming a tube down a duck's throat and forcing in food to make foie gras," Burton wrote in a statement after introducing the bill. 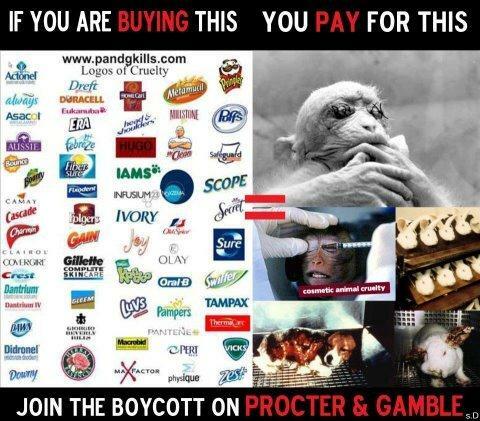 "It's an inhumane process that other countries have sensibly banned. I'm pleased California will be next on the list." Sacramento chefs including Mulvaney, Adam Pechal and Randall Selland have been lobbying legislators to repeal the bill and may have found support in Davis democratic Sen. Lois Wolk. She voted against the ban when she served in the Assembly, and said she is considering authoring legislation in the 2013 legislative session that would repeal the ban. "I don't like single-product bans, period," said Wolk who came to appreciate foie gras while living in France as a student. "These are never easy issues, usually characterized by a lot of intense feeling and not much fact. The chefs have been very open in how to approach this, and now we have a chance to look at this." An effort to repeal surely will face pushback. Animal rights advocates' anti-foie gras campaign has been a passionate one. In 2009, a coalition of groups including People for the Ethical Treatment of Animals protested the Firehouse in Old Sacramento for including foie gras on its menu. "Force feeding is cruel and inhuman and unnecessary," said Jennifer Fearing, California senior state director for the Humane Society of the United States. "No animal other than humans would eat themselves to the point of disease. (Gavage) causes their liver to swell five to 10 times its normal size. We will continue to fight vigorously to maintain the ban." Foie gras production is banned in such countries as Italy, Argentina, Germany and the United Kingdom. Some animal experts, though, say emotions are trumping science in the case of foie gras. Robert Gordon, former president of the New Jersey Veterinary Medical Association, made a surprise visit to New York's Hudson Valley Foie Gras farm in 2005 and said what he saw surprised him. "I didn't see any evidence of stress among birds that were tube-fed," he said. "In fact, many were trying to push their way to the front because they wanted to go next. Back then, I was quoted as saying, 'Taking the rectal temperature of a cat is more stressful than the tube feeding of these birds.' "
Ducks naturally gorge themselves before migrations, which causes liver swelling, Gordon pointed out. "The other side of the argument is that none of them do it that intensely for that period of time to cause what you'd define as a pathology of the liver," Gordon said. "The argument is that we're exaggerating that condition. But, I go back and say don't we exaggerate milk production? Many of these issues aren't science-based, but opinions are made and developed based on zealous and possibly ill-informed propaganda." Foie gras production is a niche industry in the United States. Only three companies make it domestically, including Sonoma-Artisan Foie Gras, which has a Stockton, Calif., farming operation. Guillermo Gonzalez, who founded Sonoma-Artisan Foie Gras in the mid-1980s, has sued members of animal welfare groups for trespassing on his property and has received death threats. He supported Gov. Schwarzenegger's decision to sign SB 1520, in part because it would provide some legal protections for his business. At the time, Gonzalez said he was "excited to work with his administration on a long-term solution." Gonzalez did not say whether Sonoma-Artisan Foie Gras has developed a gavage-free product that would be compliant with California's new law. The company has sold out its foie gras supply. "For the time being we are going to reflect and consider our next steps," said Gonzalez, in an email to The Sacramento Bee. "As always we will apply our entrepreneurial spirit and innovation to whatever venture we undertake." The California Restaurant Association, which opposes the ban, isn't sure what to tell its members about who will enforce the law and how the $1,000 fine will be levied. "A lot of these questions are getting asked for the first time," said Daniel Conway, spokesman for the California Restaurant Association. "It will be interesting to see how this all plays out." Not all foie gras bans have stuck in the United States. Foie gras was outlawed in Chicago in 2006, but the ban was repealed in 2008. A bill in Maine which would have banned foie gras production was killed in 2009. "It's the idea of someone telling you what can and cannot be served," Mulvaney said. "People who are pushing the ban are attacking us as unethical people and dismissing what we do as a living, which is taking the best and highest-quality ingredients which were raised ethically and bringing them to diners. If this becomes a scientific argument, I think we'll win." Be Careful Where You Board Your Dog! Summer often means traveling. While many people would love to take their dogs with them on vacation, it doesn't always work out that way. In some cases you can luck out and have a trusted friend or relative watch your pooch, but most of us need to board our pet for the duration of our trip. Large dogs can be difficult to accommodate, but one of the benefits of having a small breed is the fact that their size isn't an issue to many boarding kennels. The tricky part isn't finding one, but rather finding a good one. Whatever kennel you choose will be your dog's home for the next few days - you need to be absolutely sure that they will take good care of your companion while you're gone. Before you entrust your dog to a boarding kennel, make an appointment to visit it. Check that the facility is clean and offers comfortable accommodations for your dog. Don't be shy when it comes to asking the staff about their procedures and routines—are they bonded with insurance policies in place? How frequently are the dogs fed, exercised, and socialized? Are dogs grouped by personality or are they all in one room together? How many dogs does each kennel employee have to supervise? While you're there, take a look at how secure the facility is and look for any ways that your small dog might be able to sneak out. A few weeks before you're planning to go on vacation, check with your selected kennel to make sure that your dog has everything they need to be allowed to board there. Almost all kennels require that dogs (except for puppies and show dogs) be spayed and neutered, as well as remain up-to-date on their vaccinations. This is to protect other dogs as well as your own. Never board your dog in a facility that doesn't require any vaccinations. Your dog could come home with a life-threatening illness if a sick dog enters the kennel at the same time. Some boarding facilities don't allow people to visit the actual boarding area where dogs are kenneled. This is normal, and in itself should not raise any red flags. However, there should always be a way to view the boarding area, whether through a window or via another method such as webcam. Don't leave your dog with the kennel unless you can see the area your dog will actually be staying in. Many kennels offer more than just boarding. Some kennels have a vet on staff for any health concerns (emergency veterinary care should also be available). Still other kennels are more like pet spas than simply a place for playing and sleeping. These facilities offer dog grooming, bathing, and even training. Find out what services your kennel of choice offers before your dog arrives; this could be a nice opportunity to pamper your pooch and give them a vacation of their own. If you're not going on vacation, I don't recommend boarding your dog. There are other ways to pamper him at home! One great and easy way to make your dog feel like royalty today is feeding him Cesar's small dog cuisine and treats. Cesar's canned food and treats have all the nutrition that little dogs need - each meal is packed full of energy , and they come in a large variety of delicious flavors. Cesar's offers dog owners a way to spoil their dogs in a healthy way. If you absolutely must leave your dog with a kennel, do your research and make sure it's a good experience for the both of you. Taking Your Dog to The Vet - When it is It Unnecessary? Veterinary clinics receive calls from people every day asking whether or not their dog their dog needs to come into the emergency room. Not only does it determine whether it’s time to hit the road, but it can also mean the difference between a regular office visit and much pricier ER fees. Ultimately it is the owner who must make the decision, but in times of panic some owners just don’t know what to do. • Lumps and bumps - If you are petting your dog and feel a lump that you haven't noticed before, you don't need to immediately go to the veterinarian. If it isn't bothering the pet, you can wait and see if it gets larger. Contact your vet the following day so it can be noted in your dog's record. If the lump grows or changes, diagnosis may require bloodwork, biopsy and/or x-rays. 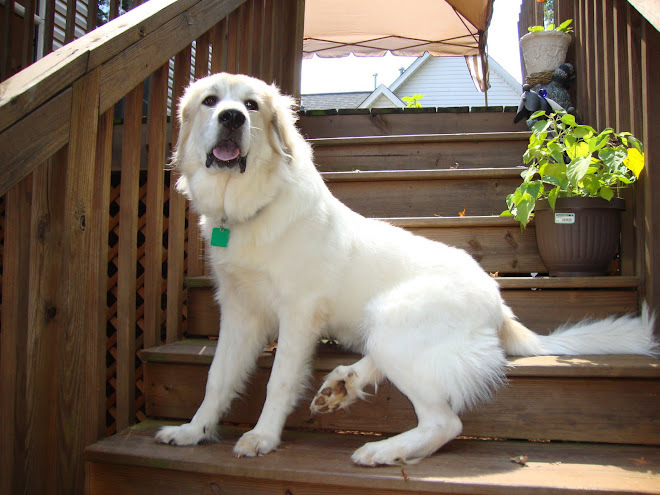 If the lump turns out to be benign (harmless), removal costs can range around $300 to $500. If it is not benign, diagnosis and treatment can exceed $1,000. • Bad breath and loose or missing teeth - As long as your dog is still eating and drinking, you can wait to contact your veterinarian to make an appointment for an oral examination and tooth cleaning. If you don't have pet insurance, be prepared for hefty costs. Dental cleaning, anesthesia, x-rays and medication can be around $500. This is one price that it’s a good idea to pay, though; neglected teeth can lead to serious diseases, some of which can be fatal. • Small tongue or mouth lacerations - Most people notice this when their dog’s saliva is tinged with pink or the water in their dog's water bowl has a slight pink color. Dogs can easily give themselves minor scrapes and cuts in soft mouth and gum tissue and the majority of wounds in the mouth heal quickly. If there is no active bleeding and your dog can eat and drink, you can wait to see the vet. In the meantime, put some ice cubes in their water. Cold can help constrict blood vessels and therefore reduce bleeding. • Dirty, smelly ears - Typically you can wait to resolve this condition. Even if your dog is shaking his head a little, dirty ears are almost never a serious issue. Clean the outside part of the ear with a cotton ball or Q-tip but be sure not to insert a cotton swab into the ear. The rigid stick can damage or puncture a fragile eardrum and if there is an infection, swabs can hurt. Avoid using any medication until you speak to your veterinarian, especially medication formulated for humans. Treatment for ear problems typically costs $200 to $250 for ear swabs, cultures, cleaning and medication. • Toenail torn or bleeding - If your dog will let you, try to examine the nail closely. Sometimes the nail tip has fallen off or just needs to be slightly pulled. If the nail was broken or shredded, there can be a significant amount of bleeding. Use a styptic pen or powder to stop the bleeding as soon as possible. Place a bandage around the foot, covering the nail, and contact your veterinarian the following day. Remember to trust your instincts—many a dog has been saved when their owner had a hunch. Most of the time, though, you can tell when a trip to the doctor isn’t necessary. I hope this helps you to determine whether an injury is a real emergency situation. P.S. Pet insurance is a lot more affordable than you might think. In fact, some comprehensive plans cost less than a dollar a day. This health care coverage can help cover the costs of emergency care and regular well care. To learn more, go to: petinsurance.com. Does Music Actually Soothe Pets? Pet anxiety can manifest itself in many different ways. We love our pets, so of course we worry about their health and safety. We don't want to see them upset or stressed out, especially when we can do something about it. Some of you have said that your pets become upset when they are left home alone for any period of time. That's a common problem - in fact, it's so common that it even has a name: “separation anxiety.” Others have mentioned their dogs' anxiety or carsickness when traveling in the car. Some pets become very anxious when they are in unfamiliar surroundings like kennels and vet's offices. And some actually throw up or chew away areas of their hair and skin during thunderstorms, or when they hear loud noises like fireworks. When they are stressed, many dogs are likely to hide and not be found. Some dogs get so scared that they simply run for cover, which in turn leads to YOUR anxiety about finding your dog. I've heard of lots of creative ways to ease your pets' stress, like leaving the TV or radio on for "company" when they are home alone. Unfortunately, that could actually be doing more harm than good. Studies have suggested that TV and radio can actually CREATE stress for our pets because of the drastic changes in programming and the random mix of musical styles. Think about it—how scared would you be if you suddenly heard gunshots, sirens, or dogs barking? The TV and radio certainly create "noise," but they don't necessarily create a relaxed environment. Dog owners sometime ask me, “Does music soothe pets the same way it can relax people?" The answer is "yes" - but it depends on the music. Maybe you've heard the old saying that “music soothes the savage beast.” While this might conjure up images of tigers with iPods, the truth is that music really CAN calm animals down. Really! Studies have been done to examine the relationship between music and stress, and some of the results might surprise you. Classical harp music is used around the world to help alleviate stress in dogs, cats, chimpanzees and other animals. Even animal shelters are installing sound systems and using music to create a more serene environment. In particular, studies show that dogs and cats seem to show lower levels of stress when exposed to classical music. Cats will relax in front of the speakers when classical music is playing, and many dogs will actually bark less - especially when listening to the music of Bach. Many pets respond favorably to classical music under stress-inducing situations, often slipping into a very serene and peaceful state of mind after only a few minutes of listening. But all classical music will not have the same calming effect. For the music to soothe a pet, it must have a soothing dynamic from start to finish and transition calmly between pieces- which is not the case with most "off-the-shelf" classical music. That's why I want to tell you about the Music My Pet CD. This remarkable "Classic Cuts" CD was developed for the specific purpose of calming our pets. It uses the sounds that have been proven to calm dogs, cats and other household pets. Music My Pet was created by the same folks that brought you Disney's award-winning Baby Einstein series for kids, so this is music for pets at its very best. I think this CD is amazing! Acclaimed producer/composer/performer Tom Nazziola is the man behind the musical genius of Music My Pet. By researching the latest studies on pet anxiety, he identified the sounds, chords and harmonies that had the best effects on pets (and on us). Then he used these elements to re-orchestrate popular classical music by Bach, Beethoven, Brahms and other esteemed composers. Nazziola has optimized each arrangement for the soothing dynamic that's so important. The result is a calming collection of beautiful classical music that will help ease your pet's stress. When your pets are left at home alone, this musical CD can provide them with a more comforting environment. Not only will it help calm your pets, it will also ease your troubled mind. When you must leave your pets home alone, this CD will create a serene atmosphere for them while you're gone. But you don't need to just use it at home. One pet owner whose dog gets carsick on long road trips has had great results by playing the Music My Pet CD in the car. One of my staff members plays it before visitors come over and she has said that it results in much less barking, jumping, and rough playing. Want to try it out? Click here to listen to a sample track from the CD. The Music My Pet CD can help your pets cope with nervousness, stress and separation anxiety, and provide the healthy relaxation they need. Give it a try. It could do your pets a world of good. P.P.S. If this crazy world has you stressed out, the Music My Pet "Classic Cuts" CD will also help you relax. Just take a listen and see for yourself. Please insist that the USDA issue a fine, and let Dr. Goldentyer know that she MUST take action now! ATHENS, GA – Recently obtained federal reports reveal that negligence at the TRS lab of Athens (GA) has left multiple animals sick/dying resulting in ten federal violations in six weeks. USDA inspection reports for TRS labs reveal a total of ten violations from 3/8/12 – 4/24/12 in areas of veterinary care, housing, sanitation, enclosures, and experimental supervision. Sick animals including dogs and gerbils have been documented by federal inspectors. Several animals died without access to water. One animal had “severe bite wounds.” Another showed signs of a severe bacterial infection. Research Watchdog Group SAEN has contacted the USDA to insist on a federal fine for the deaths of these animals. Federal reports reveal that in 2011 TRS labs experimented on 241 dogs, 129 cats, 18 hamsters, 18 ferrets, and 793 gerbils. All USDA reports are available upon request from SAEN. Think only professional lobbyists can lobby? Think again! The Humane Society of the United States, ASPCA, Susie’s Law, and North Carolina Voters for Animal Welfare invite our members and supporters to participate in the North Carolina Humane Lobby Day in Raleigh, where you’ll make a tremendous difference for animals. This is an exciting opportunity to meet directly with your elected officials or their staff about legislation that will significantly impact animals. There will be a briefing on tips for lobbying and an overview of pending animal legislation which will prepare you to meet your elected officials and advocate for animals.. Legislators are most motivated when their constituents make time to meet with them face to face. RSVP today to lend your voice for animals and make a difference in North Carolina. Contact Kimberley Alboum if you have additional questions. Two teens and a juvenile from Jacksonville and Middleburg are facing prison time and fines after Florida Fish and Wildlife Conservation Commission law enforcement officers arrested them in Orange County for killing a state-designated threatened species and for felony cruelty to animals. 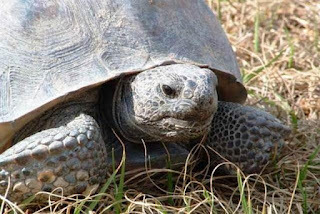 The three allegedly ran over two gopher tortoises with a vehicle in the Tosohatchee Wildlife Management Area and then, while the tortoises were still alive, picked them up and intentionally slammed them violently to the ground. FWC officers arrested 20-year-old Michael Dublin of Jacksonville, 19-year-old Dalton Bothwell of Middleburg, and a 17-year-old juvenile male from Middleburg and charged each with killing/wounding a threatened species and felony cruelty to animals. The adults were transported to the Orange County Jail and the juvenile to the Orange County Juvenile Assessment Center. The charges are third-degree felonies, and each carries a maximum penalty of a $10,000 fine and five years in prison. FWC Officer Steve McDaniel and FWC Reserve Officer James Nelson were patrolling the Tosohatchee WMA around 2 p.m. on May 27 when they found a large, severely injured gopher tortoise attempting to move on a roadway. Nearby was another, smaller tortoise. It too had a cracked shell. After investigating the incident, the officers determined that Dublin had intentionally struck the tortoises with the vehicle they were all riding in. He struck the smaller tortoise first, left the injured animal to suffer and die in the hot sun while they rode off and “messed around” in the wildlife area. Hours later, as they were leaving the area, they struck the larger tortoise and then got out, picked up the injured animal and slammed it to the ground, causing additional injuries. They then located the first tortoise they hit, found it injured but still alive, and picked it up and slammed it into the ground. “They made no attempt to render aid or take the animals to a vet. They said they simply wanted to ‘see what would happen if we dropped it,’” said Officer McDaniel. “I just don’t understand how and why people can do things like this,” McDaniel said. To report wildlife, fish and boating violations, please call the FWC’s 24-hour toll-free Wildlife Alert Hotline at 888-404-FWCC (3922). Callers may remain anonymous and may be eligible for a reward if their information leads to an arrest.